Bangalore based Bulleteer Customs has modified a Royal Enfield Interceptor 650 into a brat-style scrambler. The modified Royal Enfield Interceptor 650 features old-school, brat-style fatter tyres, side-mounted exhaust pipes, USD forks, and a dual-tone paint scheme among others. The custom Royal Enfield Interceptor 650 is christened 'Hooligan 650' and inculcates a split personality. The motorcycle features a dual-tone black & white paint scheme, which depicts the two different sides of the bike - Sober & Hooligan. The black side is the sober avatar of the Interceptor, with its heritage design. On the other hand, the white side is the brash hooligan version of the motorcycle. 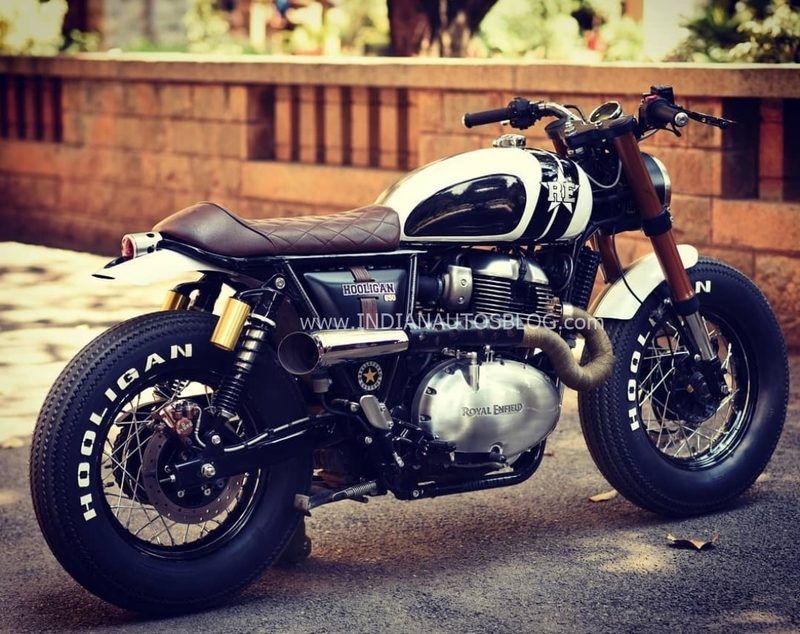 Cosmetically, the custom Royal Enfield Interceptor 650 features chunky upside-down forks up front, which adds stability to the vintage tyres with massive sidewalls. The handlebar is placed ahead of the custom-made triple clamp and sits below the fully-digital instrument console, which is fitted into a machined piston from the Continental GT 535. The motorcycle features chopped fenders at the front and rear and a short tail section. The side panels are wrapped with leather straps while the Interceptor 650 gets a custom leather-upholstered seat. The LED taillight is placed inside a Yamaha RD350's piston. The 'Hooligan 650' features custom wire-spoke wheels with a black finish. 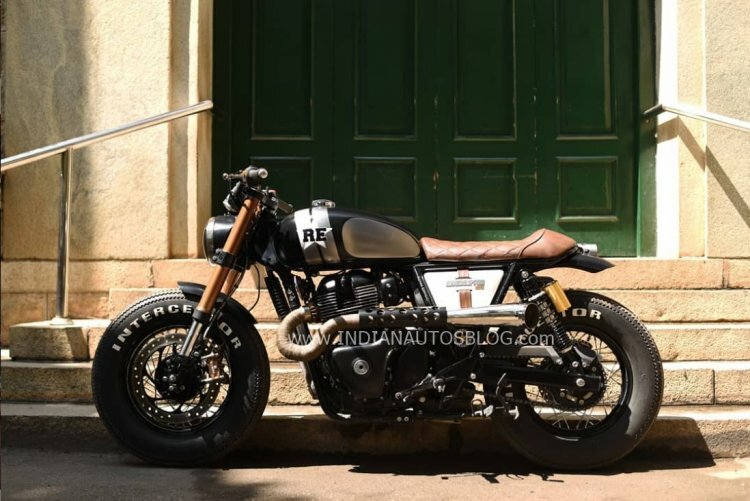 The Royal Enfield Interceptor 650 gets scrambler-style side-mounted exhaust pipes, while the chrome-finish on the engine is blacked out on one side while the other side receives a silver finish. The tyres feature 'Hooligan' and 'Interceptor' branding on its tall sidewalls. The custom digital speedometer and the LED taillight are placed under machined pistons from Continental GT 535 and Yamaha RD350, respectively. Cosmetic and mechanical changes apart, the engine on the custom Royal Enfield Interceptor 650 remains unchanged. The motorcycle uses a 648cc 8-valve, SOHC, oil-cooled motor with fuel injection that is good for 47 bhp of power at 7,100 rpm and 52 Nm of peak torque at 5,250 rpm. It is mated to Royal Enfield's first six-speed transmission. A slip-assist clutch is standard fitment.